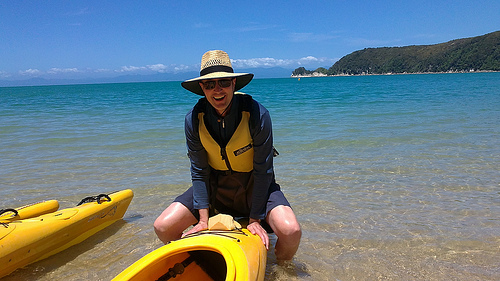 Home Travel Blogs Helpful Travel Tips What is the best time to visit New Zealand? 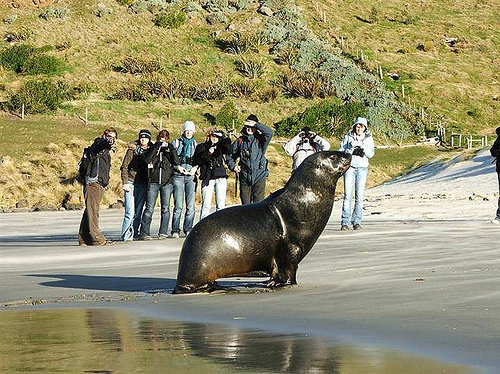 Why do so many travellers to New Zealand ignore the important aspect of timing? What is best time to visit New Zealand? We think it should be given greater priority in any travel planning process? 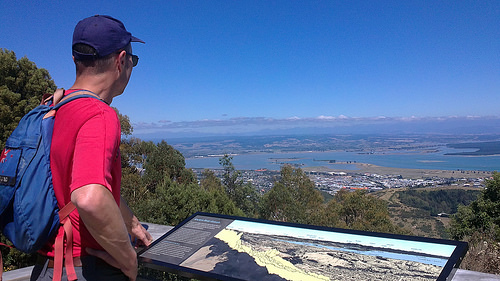 So what is the best time to visit New Zealand anyway? Here’s some important seasonal information about New Zealand to help travellers make the best decision on when to visit this fabulous country! The northern top of the North Island has subtropical weather during summer and that’s why is often called “the winterless North”. 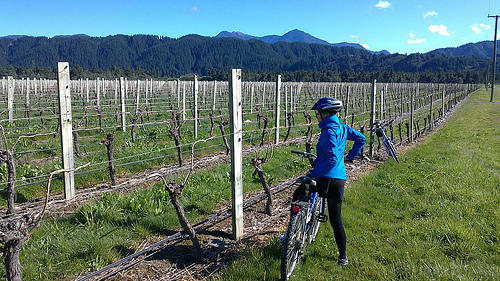 However in winder, the South Island’s inland alpine areas can be as cold as -10°C (14°F). Most of the country lies close to the coast and that means milder temperatures, much like the USA or Canada. 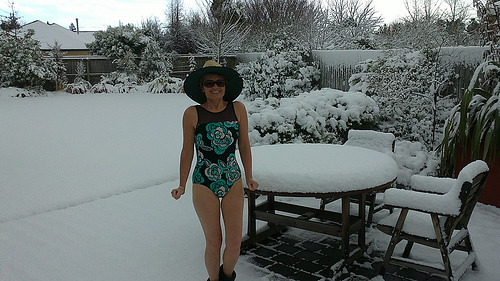 Temperatures in New Zealand tend to decrease the further you travel south. From January to March, the months are the warmest. July is the coldest month. Travelling in May and June can be magic! 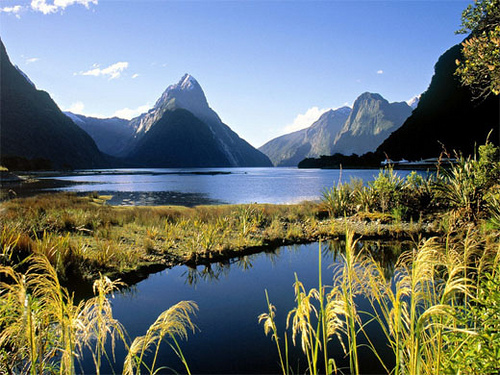 What is the best time to visit New Zealand? Here’s what you need to know…. 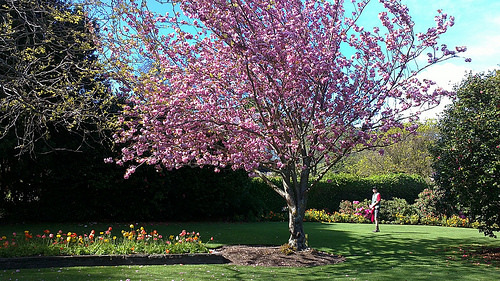 Spring in New Zealand sometimes has an identity crisis so expect all types of weather – cold, frosty, clear days, to sunny and hot days. Jeans are a good option and layers work well on our top halves, as they can be added or removed. A warm jacket is always a must. So whats great about Spring? Its a lovely time to see the blossoms emerging, green paddocks and most importantly, cute little baby lambs! A New Zealand Summer is moderately hot, with temperatures hovering around 20-30 degrees celsius. In most places you’ll be wearing shorts or a t-shirt during the day, adding a light jumper at night. 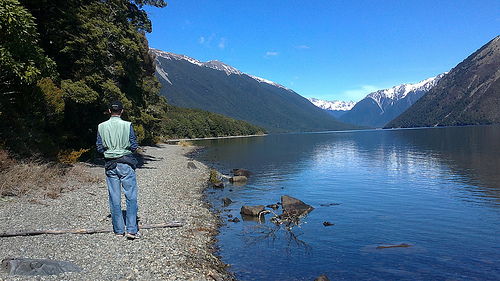 This is the busiest travel season in New Zealand, (20 Dec – 10 Jan). Be warned, facilities are heavily booked over Christmas with family travellers and Kiwi kids enjoying their school holidays. 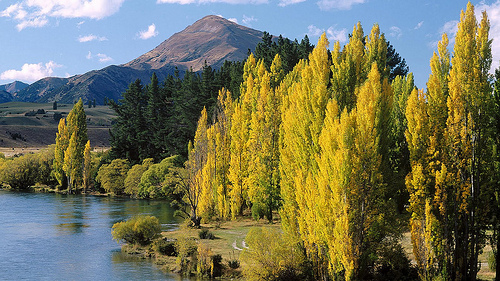 Autumn temperatures are cooler than summer, but personally, I think it’s the best time to visit New Zealand! The weather is generally more settled and pretty darn fabulous! Everywhere the rich gold and reds show their face. Consider taking clothes such as light pants or shorts, t-shirts and a couple of long-sleeved tops. It ‘s cooler at night so be prepared with a pure wool sweater. Now’s your chance to buy the Merino wool clothing New Zealand is famous for. 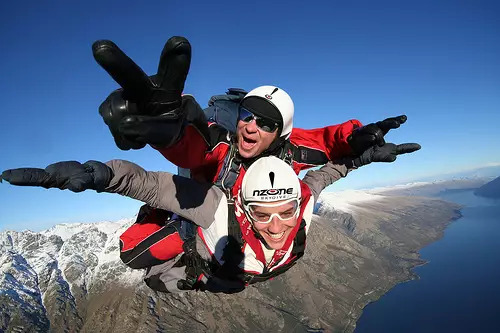 With calmer days and less rain, it can be a great time for all those adventurous activities you’ve planned. Ok, in winter, you’re more limited to choice e.g. some vineyards and accommodation close over this time. But I can tell you this, it will be far less populated with tourists. You’ll have a lot of special places just to yourselves. 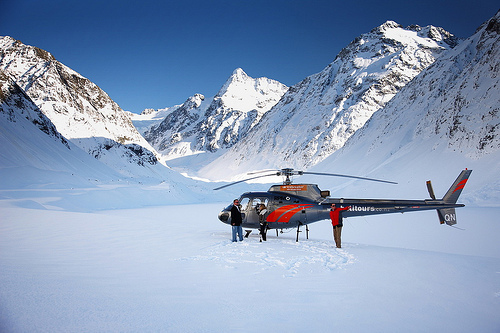 You can still have a fabulous adventure in New Zealand, no matter what the season. Thanks Jan, that particular photo you refer to was not without it’s challenges – trying to stay on my front side without slipping on my backside, being just one of them.